Stuttgart - No shortage of commitment, but just not quite good enough come the finish; VfB Stuttgart's performance against FC Bayern Munich in the could stand as emblematic for their entire 2012/13 campaign. The team went into the season-closing showpiece in Berlin having already sealed a place in the UEFA Europa League by dint of just making it that far and going up against the new Bundesliga champions. All-in-all, however, it was a football year the South West's biggest club will be glad to put behind them. On Matchday 34, Stuttgart drew 2-2 with 1. FSV Mainz 05 in an entertaining encounter at the Mercedes-Benz Arena. 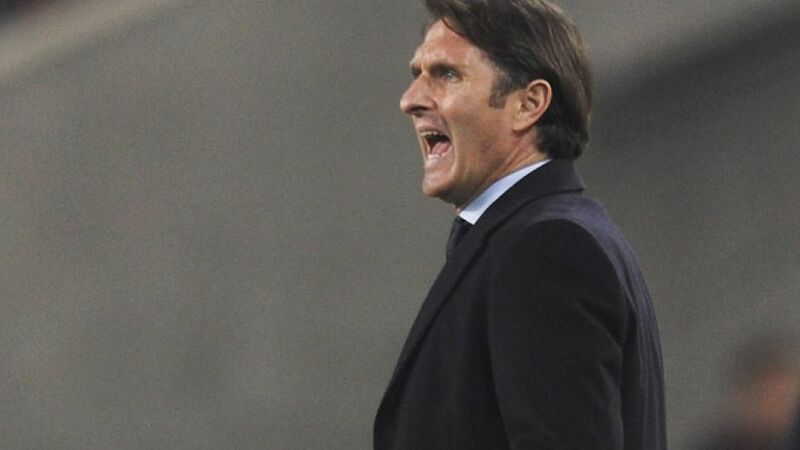 Entertainment was not foremost on Bruno Labbadia's mind at the post-match press conference, though, the head coach making a swift exit after describing the performance in no uncertain terms as "not good enough." Sporting director Fredi Bobic meanwhile made no bone about the club's intent to bring in fresh faces over the summer. Stuttgart’s main problem was inconsistency, in part caused by a pile-up of fixtures that an already stretched squad found difficult to cope with. They scraped through their Europa League group before bowing out to S.S. Lazio, by which juncture they had already lost eleven of 24 games in the league. Midfielder Christian Gentner summed up the situation aptly, saying: “When I see we’ve taken eleven points from a possible 30 against the bottom five teams, I find I can only shake my head.” And well he might. VfB came away from Borussia Dortmund with a point and beat FC Schalke 04 twice, but they also lost to Greuther Fürth, Fortuna Düsseldorf, 1899 Hoffenheim and FC Augsburg. Once it became clear that reaching Europe through the Bundesliga was no longer a realistic target, progress in the DFB Cup took on a whole new significance. Labbadia and Bobic have already been hard at work reinforcing the squad in order to deal more effectively with the challenges next season will bring. Marco Rojas (Melbourne Victory), Daniel Schwaab (Bayer 04 Leverkusen), Konstantin Rausch (Hannover 96), Sercan Sararer (SpVgg Greuther Fürth) and Thorsten Kirschbaum (Energie Cottbus) have all been brought on board already in preparation for what the club hope will be a return to the top table-third, at the very least, in 2013/14.